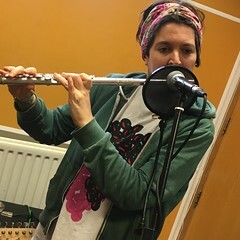 On Saturday 4th November 2017 Resonance FM’s Hello GoodBye Show featured poetry from Gerry Mitchell, Sexton Ming’s new mini-series Mr Guttal’s Letter From The Afterlife: Part 2 – Sergio Cauliflower, plus live music with; Thee Dagger Debs, Andy Hankdog and Lucy Leave. This entry was posted in dexter bentley, hello goodbye show, Hello GoodBye Show: Listings Info, resonance fm and tagged andy hankdog, dexter bentley, gerry mitchell, hello goodbye show, london, Lucy Leave, radio, resonance fm, sexton ming, Thee Dagger Debs. Bookmark the permalink.